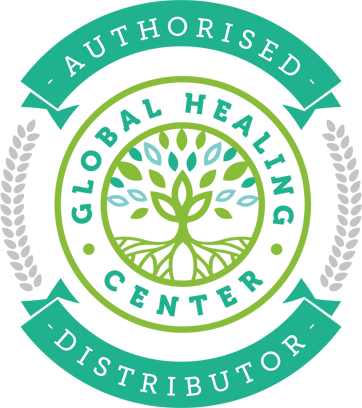 Global Healing Center Distributor in Juno Beach, Florida - International School of Colon Hydrotherapy Inc.
International School of Colon Hydrotherapy Inc. The International School of Colon Hydrotherapy (ISCHT) is an affiliate of Shea Educational Group, Inc., a family business owned entirely by Cathy Shea, LMT, CT and Michael J. Shea, Ph.D. We began in 1987 by offering a few weekend workshops. Today, we proudly offer COMPREHENSIVE CERTIFICATION PROGRAMS in Colon Hydrotherapy and Cranialsacral Therapy. Our intention is to offer education for those interested in our PERSONAL PROGRAMS as well as those seeking certification through our PROFESSIONAL PROGRAMS. We feel blessed to be able to share our marriage and life's work. We will always strive to create sacred space for individuals in our groups. Healing can only occur in a safe environment through honor, respect and reverence. We believe that everything and everyone is sacred. The intimacy of this work is preserved by declaring clear boundaries. We provide ONE-STOP shopping for all of your needs: TRAINING, DEVICE, DISPOSABLE TUBING & SHEETS AS WELL AS MANAGING YOUR SUPPLY ORDERING.We are located approximately 15 miles north of the West Palm Beach International Airport in a little seaside town called Juno Beach. The Comprehensive Certification Program For Colon Hydrotherapy takes place in our clinic, which has a home-like setting. There are 2 hotels and many cafes within walking distance so renting a car is not necessary. We are just one block from the clear, warm waters of the Atlantic Ocean! Bring your swimsuit and sunglasses!Our THERAPISTS hail from around the world! We are very proud of each of them and the special brand of healing they provide to their families and communities. Our PROGRAMS are designed to facilitate each participant’s learning style. We have FACULTY from different disciplines so we draw from their resources and keep our course work current, including the latest research. Once you are interviewed and have completed the ENROLLMENT process, we send your home-study correspondence course so you may prepare before attending. The CALENDAR has numerous choices that allow you to choose which dates work best for your life and family care. Feel free to share any of our RESEARCH and provide all those you know with education. We even have scrumptious COOKBOOK that we have tested in our school as part of our menu that is served to our students. It is our intention to provide nurturing and nourishment. Please visit our GALLERY to view photos of our students having a great time here at our school.